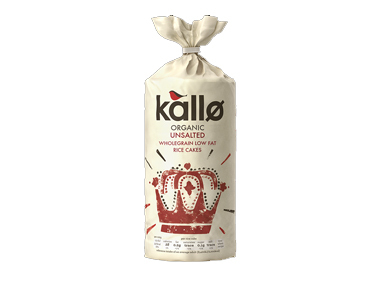 Buy Kallo Organic Unsalted Thick Wholegrain Rice Cakes in the UK from our online shop or directly from our independent Scottish store. These organic rice cakes are low fat and unsalted. Perfect for an in between snack topped with cottage cheese, vegan cheese or simply enjoy it on its own. Where can you buy real Organic Rice Cakes Unsalted safely online? If you are wondering where you can buy Kallo Organic Unsalted Thick Wholegrain Rice Cakes safely online in the UK, then shop with us. Organic Rice Cakes Unsalted - Kallo Organic Unsalted Thick Wholegrain Rice Cakes in Gluten free Breads & Biscuits and Biscuits & Breads.